Byline: Sarah Davies, MSc, and Maggie-Lee Huckabee, PhD. Both authors are affiliated with The University of Canterbury Rose Centre for Stroke Recovery and Research at St George’s Medical Centre. Swallowing is something that most of us take for granted…until it goes wrong. When you, or someone close to you, have a stroke, swallowing can change from an effortless action to a major source of anxiety that can compromise health and quality of life. The good news is that swallowing recovery is possible. Wherever you are on your journey towards rehabilitation, and whatever your end goal may be, the following information is provided to answer some common questions regarding post-stroke dysphagia. Does every stroke result in dysphagia? Not every stroke leads to dysphagia. It is estimated that between 25-81% of people will experience some difficulty swallowing in the very early stages following a stroke1–8. In most cases, this difficulty resolves over a period of days or weeks. However, between 8-20% of stroke patients will continue having difficulties over the longer term6,9. How can a stroke affect my swallowing? A change in the way that food tastes or feels in the mouth. Numbness in your tongue or cheeks may make it hard to know if you still have food left in your mouth. A change in the way you usually regulate the size of your mouthfuls or how fast you eat. People may comment that you are ‘gulping’ or eating/drinking rapidly. Difficulty closing your lips may make it hard for food and drink to stay in your mouth, and might result in spillage/dribbling. It also makes it harder to build up the pressure needed to swallow. Tongue weakness may make it difficult to move food around your mouth, push food under your teeth for chewing and grinding, as well as moving food towards the back of your mouth for swallowing. This might be due to weakness or stiffness of the pharyngeal (throat) muscles, a discoordination of the ‘top-to-bottom’ movement of these muscles, or decreased opening of the sphincter muscle that leads towards the stomach. This can feel like food is getting stuck in your throat. Food, drink, and saliva may be misdirected towards the lungs. This is known as aspiration, and may trigger coughing. When aspiration does not trigger coughing it is known as silent aspiration. Any or all of these symptoms may be present on a continuum ranging from mild to profound. How is dysphagia managed following a stroke? In the very early stages following a stroke, the focus of treatment is on establishing safe swallowing and nutrition. Preventing aspiration – a leading cause of pneumonia11 – has become a key goal in stroke recovery. 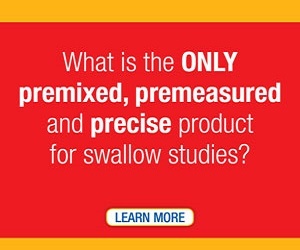 In terms of assessment, there are many different swallowing assessment tools in the toolbox. When a view of the entire swallowing sequence (pre-oral phase, oral phase, oral-transit phase, pharyngeal phase, esophageal phase) is needed, videofluoroscopy may be recommended. In a videofluoroscopic swallowing study (VFSS), x-rays are used to track the flow of barium-laced food and fluids from the mouth to the stomach. The result is a live, two-dimensional, quantifiable, dynamic view of the swallowing structures and the moving food/fluid. 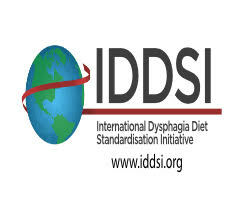 This method of assessment is generally considered to be the “gold-standard” in dysphagia diagnosis12 as it integrates information about the entire swallowing sequence and can be used to qualitatively evaluate the effects of different swallowing strategies. Videoendoscopy is another tool that may be used during a dysphagia assessment. This method uses a thin, flexible laryngoscope that is inserted through the nasal cavity and held above the uvula to visualize the throat before, during, and after swallowing. Like VFSS, videoendoscopy provides real-time, 2D images of swallowing. It is particularly useful for evaluating airway protection mechanisms and teaching compensatory strategies during swallowing, and because it is portable, can be performed at the bedside. Pharyngeal manometry is a less widely used, but valuable, assessment tool. 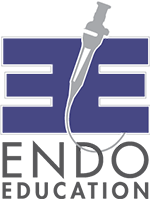 During manometry, a special catheter containing pressure transducers is eased into the pharynx and upper esophagus, usually through the nasal cavity. During swallowing, information about the timing, strength, and coordination of pharyngeal and esophageal contractions is gathered by the transducers and displayed on a computer screen as waveforms. Your Speech-language Pathologist (SLP) will assess your swallowing and, in conjunction with your medical team, make recommendations about the safest food/fluid textures and route of intake. In some cases, you may be offered a feeding tube (e.g. nasogastric tube, NGT), or texture-modified food and drinks as a short-term strategy while you recover. These temporary measures are often replaced by full oral intake as recovery progresses. Early in your recovery, your SLP will identify rehabilitation targets for your dysphagia. You may be given different exercises to improve specific areas of your swallowing, and compensatory strategies (e.g. postures, swallowing techniques) to use while your swallowing recovers. For many people, recovery of swallowing is possible thanks to bilateral innervation of swallowing – that is, if one side of the brain is damaged, signals can still get through to the swallowing muscles from the undamaged side. Almost all of the cranial nerves are bilaterally innervated, with the exception of the nerves controlling tongue movement (cranial nerve 12) and the facial muscles (cranial nerve 7), which receive signals from only one side of the brain. Around 8 – 20% of people may experience persisting difficulty swallowing6,9. However, it’s important to know that stroke-related dysphagia is often very amenable to rehabilitation. With time, motivation, and intensive therapy, most patients CAN improve their swallowing. What does swallowing rehabilitation look like? It’s often said that the best therapy for swallowing, is swallowing. You should expect to be trialling different food/fluid textures in a safe, controlled manner within your rehabilitation sessions. In addition, you may be taught different compensatory techniques and swallowing exercises to complete during your sessions. Traditional swallowing rehabilitation has an emphasis on muscle strength training, both during swallowing (e.g. Effortful Swallow) and non-swallowing (e.g. Head Lifts) tasks. There are many different swallowing exercises; some have good evidence supporting their use. However, any exercise regime that you carry out should target specific muscles and specific biomechanical processes – if not, there is a risk of doing more harm than good. Biofeedback training may also be incorporated into your rehabilitation plan. Biofeedback training encompasses a diverse range of devices and technology, designed to give you feedback on how your body is moving, and hopefully, allowing you to change that movement. Biofeedback training has good reported success in patients with stroke and chronic dysphagia13–15. In terms of intensity, very little research has been completed to help us know about the ideal treatment dose and intensity. Much of the early data suggest that intensive treatment can have positive effects on swallowing recovery16, and information from other areas of physical rehabilitation suggest that more is better. If you are not seeing progress with your dysphagia rehabilitation, talk to your SLP about increasing your treatment intensity. Researchers are learning new things about dysphagia rehabilitation all the time, and there is plenty left to discover. Current research is focussing on the concept of swallowing ‘skill’ training in addition/instead of traditional strength training approaches. Other exciting developments are also under way, exploring ways to enhance the responsiveness of the brain to rehabilitation. Pay close attention to your oral hygiene routines. People with stroke and dysphagia are at an increased risk of developing pneumonia, however, this can be largely prevented by regularly removing bacteria from the oral cavity. If you are not satisfied with your swallowing rehabilitation, keep searching! There are many SLPs and researchers who are doing wonderful, innovative work in dysphagia rehabilitation who can help you. 1. Daniels, S. & Foundas, A. Lesion localization in acute stroke patients with risk of aspiration. J. Neuroimaging Off. J. Am. Soc. Neuroimaging 9, 91–98 (1999). 2. Gottlieb, D., Kipnis, M., Sister, E., Vardi, Y. & Brill, S. Validation of the 50ml drinking test for evaluation of post-stroke dysphagia. Disabil. Rehabil. 18, 529–532 (1996). 3. Kidd, D., Lawson, J., Nesbitt, R. & MacMahon, J. Aspiration in acute stroke: a clinical study with videofluoroscopy. Q. J. Med. 86, 825–9 (1993). 4. Langdon, P., Lee, A. & Binns, C. Dysphagia in acute ischaemic stroke: severity, recovery and relationship to stroke subtype. J. Clin. Neurosci. 14, 630–4 (2007). 5. Mann, G., Hankey, G. & Cameron, D. Swallowing function after stroke: prognosis and prognostic factors at 6 months. Stroke 30, 744–748 (1999). 6. Marik, P. & Kaplan, D. Aspiration Pneumonia and Dysphagia in the Elderly. Chest 124, 328–336 (2003). 7. Martino, R. et al. Dysphagia after stroke: incidence, diagnosis, and pulmonary complications. Stroke 36, 2756–63 (2005). 8. Meng, N., Wang, T. & Lien, I. Dysphagia in patients with brainstem stroke: incidence and outcome. Am. J. Phys. Med. Rehabil. 79, 170–5 (2000). 9. Smithard, D. et al. The natural history of dysphagia following a stroke. Dysphagia 12, 188–93 (1997). 10. Paciaroni, M. et al. Dysphagia following Stroke. Eur. Neurol. 51, 162–7 (2004). 11. Power, M. L. et al. Predicting aspiration after hemispheric stroke from timing measures of oropharyngeal bolus flow and laryngeal closure. Dysphagia 24, 257–64 (2009). 12. Martino, R. et al. Preferred practice guideline for dysphagia. Coll. Audiol. Speech-Language Pathol. Ontario(2000). 13. Crary, M. A. Dysphagia. 18, 6–18 (1995). 14. Huckabee, M. L. & Cannito, M. P. Outcomes of swallowing rehabilitation in chronic brainstem dysphagia: A retrospective evaluation. Dysphagia 14, 93–109 (1999). 15. Crary, M. A, Carnaby Mann, G. D., Groher, M. E. & Helseth, E. Functional benefits of dysphagia therapy using adjunctive sEMG biofeedback. Dysphagia 19, 160–164 (2004). 16. Daniels, S. & Huckabee, M.-L. Dysphagia Following Stroke. (Plural Publishing, 2008). Hello! My dad has recently been diagnosed with a type of permanent pharyngeal dysphagia. The local doctors say that this is irreversible and have given him two options: continue eating normally and risk aspiration and sepsis, which could lead to death or a permanent feeding tube. My dad is only 68 years old and in otherwise good health. He had a couple of TIAs in the past few years, but we were unaware of any damage until now. My question is who or where can we go for a second opinion. I feel there has to be some other option. Thank you so much for your time.